Venture into options territory with our Ventura series and Amish Ventura Bar Stool. See also the swiveling version of this chair with our Amish Ventura Swivel Bar Stool, and dine in style with a set of Ventura Amish Dining Chairs. Our Ventura Mission style design can also come to life in a desk chair, custom ordered to suit your space. 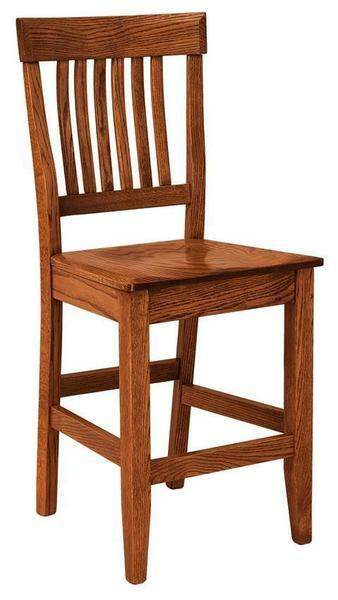 Call one of our Amish furniture specialists with questions or ordering assistance on these Mission bar stools. You can also visit us in Florida at our brick and mortar Amish furniture store. Seat Height from Back: 19"